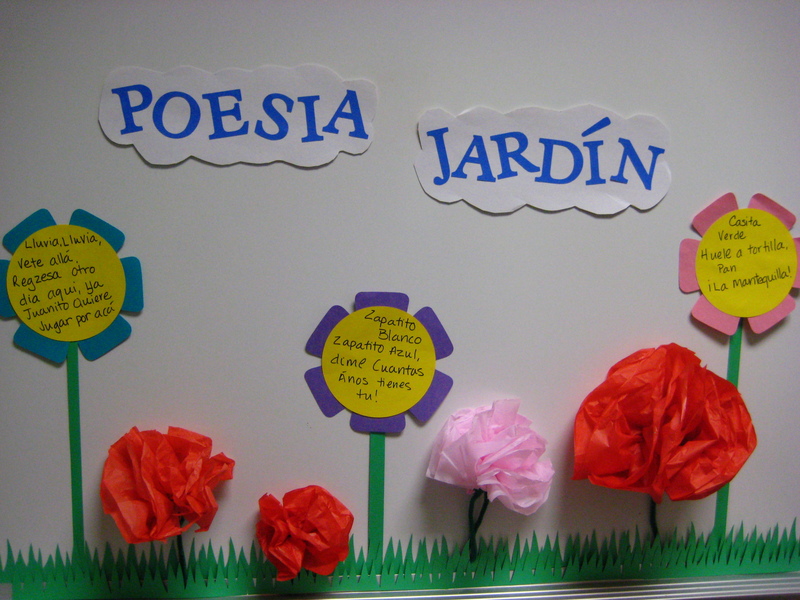 Many teachers and librarians use poetry as a means to teach and encourage reading and over the years I’ve seen a lot of creative and interesting ways to include poetry in the classroom and library. Some methods strive to make it easy for kids to pick up a poem and read, taking a poetry break. We also know that many kids love poetry when it is not being forced on them and dissected. Poetry is important enough that it is included in the Common Core State Standards and Texas Essential Knowledge and Skills (TEKS). Of course, that importance also may mean that students are hit over the head with poetry and forced to consider “meaning” and “structure” instead of simply enjoying the beauty of the words. Poetry Friday started in 2006 and, much like “casual Fridays” is intended to casually imbue students with poetry. To help the cause, poet Janet Wong and poet guru Sylvia Vardell have complied poems use from kindergarten through fifth grade for every week of the school year. From “Happy Song for the First Day of School” by Patricia Hubbell through “The Last Day of School” by Deborah Ruddell, there are 36 poems for each grade level (enough for the typical nine month school calendar) plus two for everyone to start and end the year. That is 218 original poems by 75 poets, a substantial anthology by any measure. But wait, there’s more! In addition to the poetry, Vardell and Wong offer Take 5! ideas that focus on reading each poem aloud and for talking about the poem with follow up guidelines for oral and choral reading of more poetry. “When the Rain Falls” by Susan Taylor Brown, for example includes suggestions for choral reading where students would say three lines together to allow for increased volume and greater emphasis as Thunder trembles, or when Rainbows reappear. But wait, there’s more! Vardell and Wong have actually prepared two anthologies. The poems and the Take 5! ideas are the same but depending on the volume you purchase (so be careful!) you will find information and guidance for linking poetry to either the Common Core State Standards or the TEKS. And yes, there is still more! The appendices include suggestions for building a poetry library, lists of poetry web sites and blogs, professional resources, and a glossary of poetry terms. The poem credits serve as an index to specific poets and although there is no subject indexing, per se, the 36 week list at the beginning of each grade level chapter provides information about the topics and themes included in case you want to switch subjects around a bit. 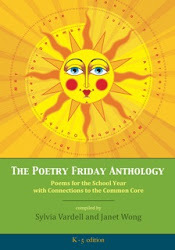 The Poetry Friday Anthology: Poems for the School Year with Connections… is published by Pomelo Books. Feel free to use more poems to make every day a Poetry Friday. And please share the ways you use poetry with the kids at your library and school. We want there to be even more! Poetry! Thanks so much for this lovely, in-depth review, Jeanette. We do hope librarians, educators, and even parents will find THE POETRY FRIDAY ANTHOLOGY a user-friendly resource for finding and sharing poetry in fun ways. Readers may be excited to know that next we’re working on a middle school version for those who serve ‘tweens and young teens. Stay tuned! Thanks so much, Jeanette! This project was a joy to work on. I love my Kindle edition, as well. The Poetry Friday Anthology is a wonderful resource for teachers, and I’m happy as a lark to be included among the poets! Jeanette, many thanks for shining the light on POETRY FRIDAY, this great new masterpiece put together by the tireless duo of Janet Wong and Sylvia Vardell. Teachers, librarians, parents, and kids of all ages are going to have fun with this one and I’m delighted to have poems of mine included. I was delighted to be part of this anthology by edited by two of poetry’s most ardent advocates. Poetry should be on the menu in every classroom. I knew when Janet and Sylvia asked me to submit poems to the Poetry Friday Anthology that this project was going to be a special one. 75 contemporary poets for children, and 218 poems! I also guessed that Janet, given her boundless energy, and Sylvia, with her depth and breadth of knowledge, would enrich the poems with multiple suggestions for classroom use. Knowing all that ahead of time, I was still flabbergasted when I got my contributor copies. I’m proud to have several poems included in what I think is one of the best anthologies ever for classroom use. Just about everyone in my family has been a classroom teacher – mother, father, sister, aunt, me….the list goes on. I grew up on talk around the dinner table about what was or wasn’t working in the classroom. 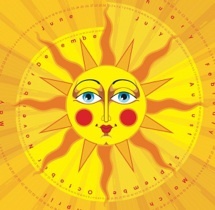 Janet and Sylvia have put together a collection that makes the teaching of poetry joyful and easy. I’m so proud to have work in it – well, I said that before, but I’ve been saying it a lot lately, to friends, teachers and fellow writers! I expect to share the anthology with all my grad students at the Vermont College of Fine Arts. Glad to see this fine review. Thanks, Jeanette! Three cheers to Sylvia and Janet for bringing us all together in such a handsome volume to celebrate poetry for children everywhere, every Friday — every day! Dear Ms. Larson, I’m grateful for your knowing appreciation of POETRY FRIDAY. It was great fun to take part in it. I think it’s one of the finest anthologies of poetry for kids ever put together. Thank you Mr. Kennedy for creating such great poetry. Kids (and big kids) love to play with words. It is a great anthology on its own but when Sylvia and Janet add all the extras it becomes something that is greater than the sum of its parts. What a privilege to be included in the anthologies edited by Sylvia Vardell and Janet Wong! I am so excited about the probability that children all over the country will be experiencing Poetry Fridays, and I’m certain teachers will have fun introducing the lifelong joy of poetry! Thanks, Jeannette, for shining a light on this unique anthology, so patiently and expertly assembled by Sylvia and Janet. It is, indeed, a pleasure to be a contributor to anything these two ladies do, and this volume is the very best I’ve seen for classroom use. Thanks Jeanette, for your lovely review of this stellar anthology. Cheers to Sylvia and Janet for the AMAZING job they did putting it together! Many, many years ago, when I was in second grade, my teacher instituted “Poet of the Week.” She encouraged us, at that young age, to become poets. She knew then what we know now. Poetry is important in the classroom and at home. I’m thrilled to be included with this wonderful group of poets in such an amazing book! I’m so pleased to be part of this book. It’s like being at a party with many people I know through their work, if not in person, and a few whom you might not know. They all have one thing in common: loving the taste of words, their sound, their rhythms. I particularly appreciate seeing activities that don’t beat the life out of our poems but enhance the experience of reading them. I’m delighted by this review and thrilled to have poems in this anthology, but like Julie Larios, I come to it first as a classroom teacher. What a treasure box! The range of work, the themes, the way it’s organized to acknowledge actual demands on teaching and learning time–all of these make The Poetry Friday Anthology uniquely practical. Bravo, fellow poets, and bravo, Sylvia Vardell and Janet Wong! Thanks, Jeanette, for spotlighting Janet Wong’s and Sylvia Vardell’s invaluable THE POETRY FRIDAY ANTHOLOGY! What fun to be a part of such a terrific book and share the joy and possibilities of poetry! I’d like to add my voice to the chorus of poets honored to be included in Poetry Friday. Many thanks, Jeannette, for the lovely write up of this wonderful project. I think it’s pretty clear from these comments that the individual poet-contributors for this book are pretty amazing–generous, kind, smart, filled with positive energy, and committed to connecting young people with poetry. Their good cheer and talent are what made this project a success. Our challenge now is getting the word out. Your post, Jeanette, is a wonderful step in that direction. Thank you! Jeanette this is such a wonderful post. Appreciation x 1,000 for spreading the word of poetry. Sylvia and Janet have offered a real gift to classrooms far and wide. What an amazing anthology! I am using it this week with some of my students in the library and we are having fun while learning. I even had the courage to sing one of the poems. Thank you poets for creating such delightfully rich poems. Thank you Dr. Vardell and Janet Wong for putting together such an easy to use resource. Middle school librarians! You can still use the K-5 version, but I want to let you know that you asked . . . and now there’s a Middle School version (for grades 6-8)!! Great resource for teachers…..anything specific for high school?